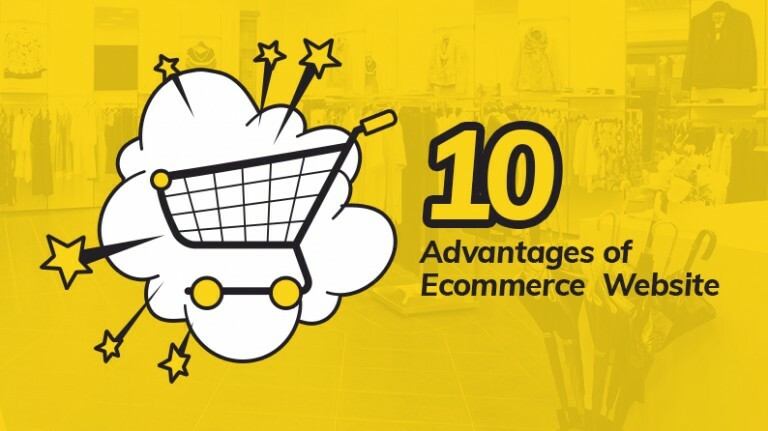 How to choose a Shopping Cart Software for Starting an Online Store? In the current times if you talk about technology and startups in one sentence then there is a huge possibility the topic would be related to ecommerce. Every other entrepreneur these days wants to launch his/her own ecommerce store. It is one of the most booming business models with an expected growth of more than 30% globally in the next few years. 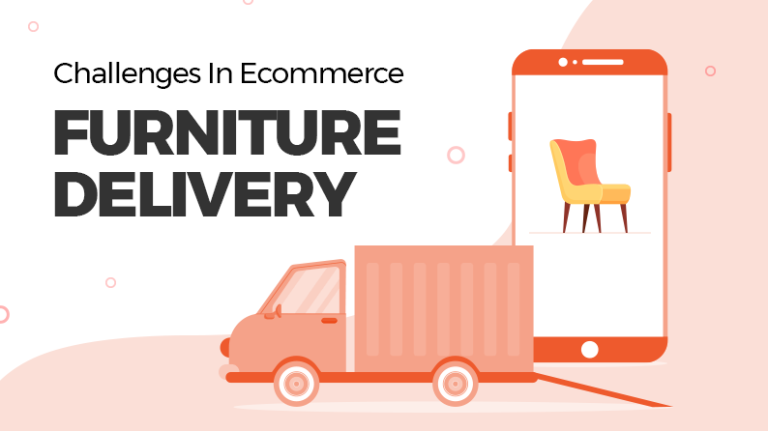 Launching an ecommerce store has become a walk in the park, thanks to turnkey solutions better known as ecommerce platforms. This has helped numerous aspiring entrepreneurs who lacked the technical knowledge to launch their own ecommerce store. However, there is a new predicament faced by most of the entrepreneurs. While they have the answer to launch their ecommerce store, choosing the right one has become more of a hassle. There are numerous solutions in the market offering one feature or another. While some offering innovative features are a bit too expensive, others that are easy on the pocket do not give much flexibility. 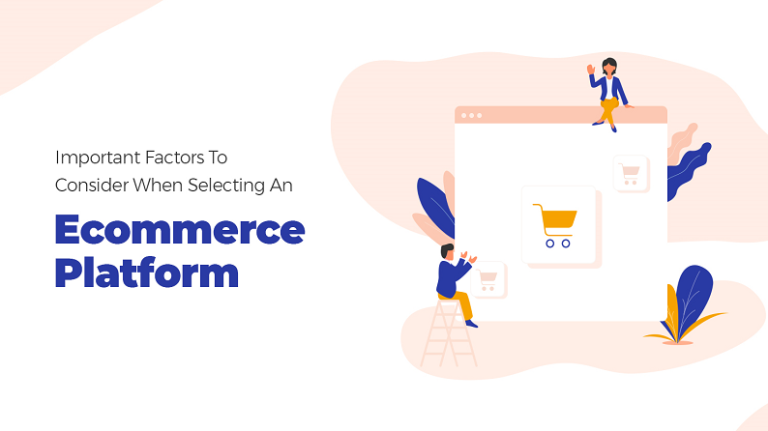 However when we talk about choosing the right shopping cart solution for your online store, there are few things to keep in mind. 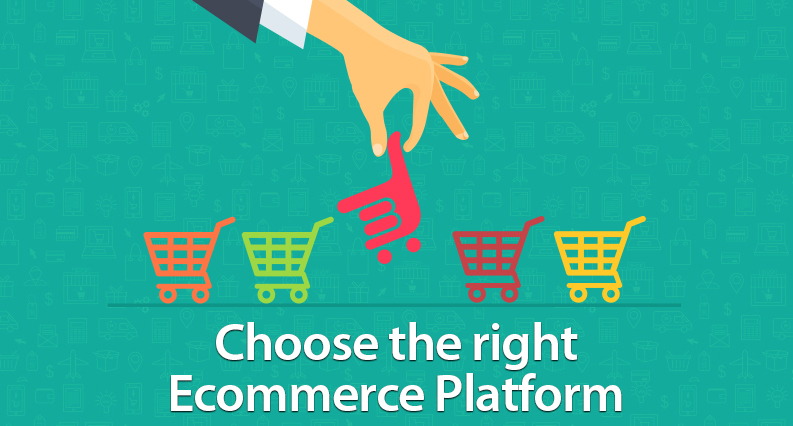 Features to look out for when choosing an ecommerce platform? In order to ensure that your online store stands out from the crowd, you need to do a lot of customization to it. In addition to it, you also require flexibility to scale up your store as the demand increases. Just having a plain online store that looks like your competitors would not sit well with the consumers. The biggest reason behind the popularity of ecommerce store is the ease of shopping that it provided. That notion same holds true for ecommerce platforms. For a novice ecommerce store owner, nothing becomes important than ease of use. If the platform scores high on features but does not fare well in ease of use, then they will not understand half of the features and how to use them. That is why a shopping cart solution must be easy to deploy and use. 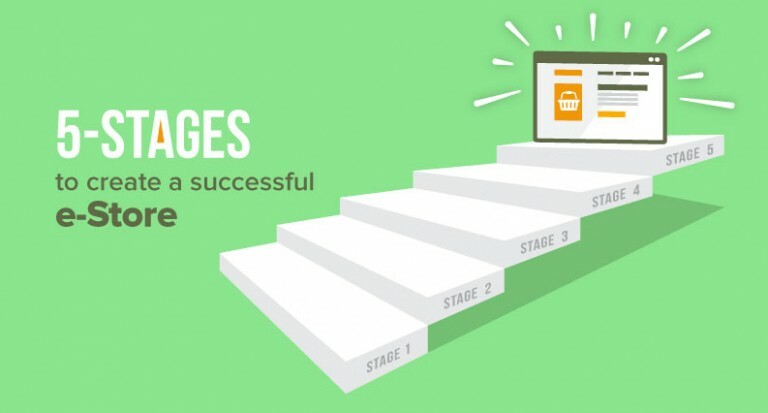 User engagement is one of the top priorities for any ecommerce store. If your store is not user engaging then there is no point in opening the store in the first place. The platform, therefore, must incorporate a robust design that excels on all parameter of user friendliness. As already discussed, store owners have to face a huge predicament when it comes choosing between features and price. Most of the ecommerce store owners do not have huge pockets to go for the feature-rich platform as it also costs a lot. The security of your store and the customer data it contains is of high priority. This is why the ecommerce platform must incorporate a secure architecture. One of the biggest reasons behind the success of ecommerce, in general, is the secure architecture that most online stores offer. If you choose a platform, which does not have multiple secure layers when it comes to data security, then your online store is bound to crumble. As technology is evolving and smartphones are taking the center stage, having a responsive website has become imperative. Therefore, in order to make your ecommerce website future ready, the platform must have a mobile integration or at least be responsive. In order to sell things online, your estore needs to be able to accept payments from customers. The fact remains that this is one of the most common reasons that store owners do not opt for otherwise favorable options from their short lists. There make sure that the platform supports popular payments methods that can be used by your targeted customer. 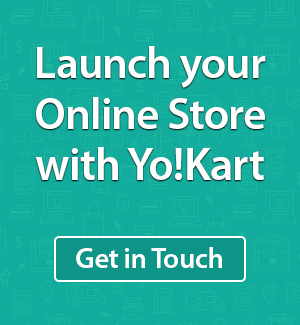 When it comes to all the above-mentioned features, YoKart becomes one of the most favorable choices for ecommerce startups. 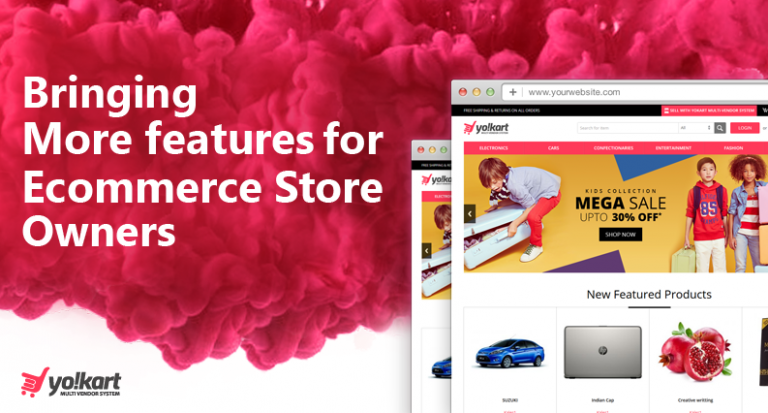 It is a highly versatile ecommerce platform, aimed at prospective entrepreneurs looking to launch their own multivendor ecommerce marketplaces like eBay, amazon or Etsy. 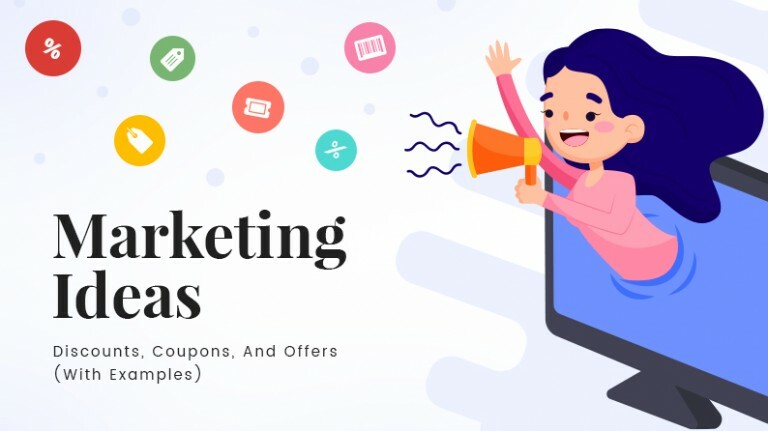 It is a perfect example of an ecommerce platform, which can cater to niche markets, taking into account all the key features necessary for website owners, visitors, and merchants. This is the reason why it won the much-coveted product of year award at TieCON, Chandigarh. Overall for an entrepreneur, going the ecommerce way is the best possible bet. Starting an online store has become easy and does not require much investment. However, the story is different when it comes to choosing the right platform. But if you keep the above mentioned features in mind, then the whole transition becomes highly seamless.